MWC Modu is determined to make its modular phone concept fly, so it’s designed a range of new jackets for the device. Despite only officially announcing the phone – also called Modu - last week, the device will soon have five additional coats to go with it: a car jacket, a bicycle jacket, a sports jacket, a speaker jacket and even a digital picture frame jacket. Although specifications are yet to be finalised for each design, with the exception of the speaker jacket, Register Hardware managed to snap pictures and steal some details about all five at Mobile World Congress this week. The Modu music jacket has a 2.2in display on one side and a pair of JBL speakers on the other, so think of it like a small boom-box. 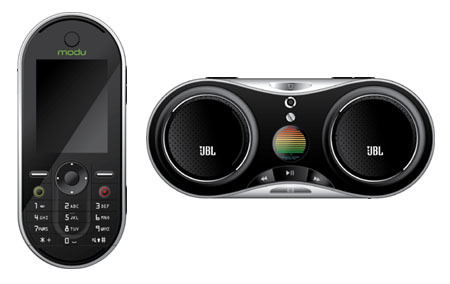 Although chunky, the jacket’s quite light and sports a 3Mp camera, digital sound meter and 3.5mm jack. The car jacket turns Modu into a satnav, thanks to the coat’s integrated GPS. This means you can simultaneously find your way to the shops and take calls. Modu’s bicycle jacket is a pretty straightforward idea. 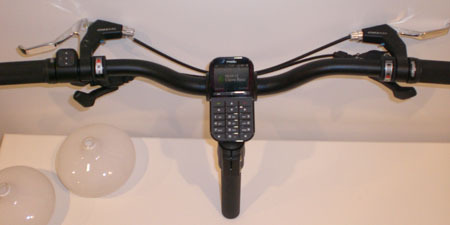 It enables you to fix the phone onto your two-wheeler’s handlebars and comes equipped with a separate small thumb-operated controller for cycling through the phone’s menus. The controller also fixes onto the handlebars and, hopefully, it’ll communicate with the phone over Bluetooth. Satnav capabilities would be nice too. 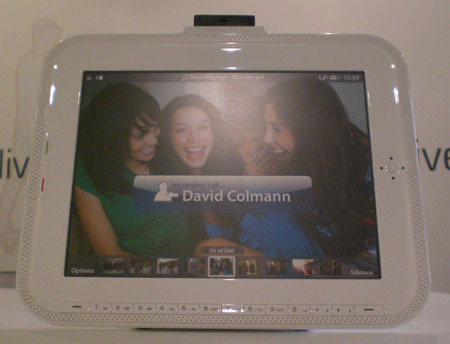 The basic Modu phone slots into the top of its digital picture frame jacket, allowing you to view all your images on a larger touch-sensitive screen. From here you can flick through your various shots and, if a call comes in, you can speak into the frame. Sports jacket is essentially Modu's take on all the arm-worn iPod cases already available. 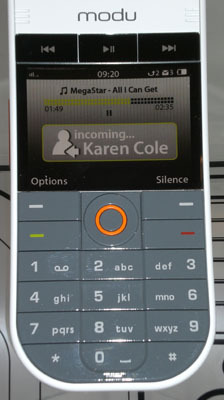 However, Modu’s design will add in a top-mounted screen that lets you see track information when you look down. 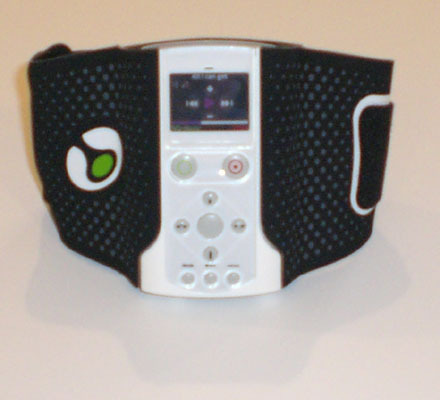 Several music and call controls are also mounted on the front of the sports jacket.